The return from the sun-drenched respite of spring break can be tough, but these shows come just in time to re-inject fun into your routine even with classes back in session. Dale Earnhardt Jr. Jr. has mastered the traits that propel indie rockers to festival lineups and late-night-talk-show appearances. Mildly humorous, hipster-appealing band name? Check. Fluttering spurts of electropop amid lighthearted, lilting riffs? Check. They’re less ethereal than Passion Pit and less sprightly than the Cold War Kids, but harness a tension of eccentric instrumentalism and sing-a-long melodies. The tribal percussion and foggy vocals of “War Zone” quickly delve into pops of punchy keyboard and peppy trumpet lines, and the twangy lead of “Hiding” promptly segues into a springy, chant-filled lament of love nearly lost. It’s easy listening primed for the festival milieu. The tools for rock and roll innovation are within their grasp, but the Dum Dum Girls offer tame, store-brand rock – a sound that subsists on repetitive elementary chord progressions and filmy, distorted amplifier settings. “Coming Down” and “Bedroom Eyes” are instrumentally safe and colorless, propped up only by occasional surf rock guitar twangs and the smooth composure of Dee Dee Kenny’s vocals. There’s promise in the Strokes-like zing of “Lost Boys and Girls Club” and the hazy harmonies of “He Gets Me High,” which harness mildly more explorative sonic lines. The Dum Dum Girls exude cool and undaunted demeanors. It’s a shame that same temerity doesn’t translate to the music itself. What makes Betty Who sound new and unfamiliar is, ironically, her explicit nods to pop of the past. Her vitalizing, vapory sound is rooted in nostalgia – she embraces the jovial dance pop vibes of her 1980’s predecessors, fusing subdued vocal tones with blips of digitized melodies in “You’re in Love.” Only in “High Society” does her sound veer into Barbie pop territory, lazily addressing privilege where Lorde’s “Royals” more finely captured a simultaneous reverence and disdain for luxury. Call it a case of unfortunate timing – Betty Who’s EP “The Movement” was released one month after “Royals” nestled permanently on radio stations – but lines like “We’ll drink Chardonnay through the day ‘cause we say so/A silk lapel suits you well baby you know” play on all-too-obvious tropes. 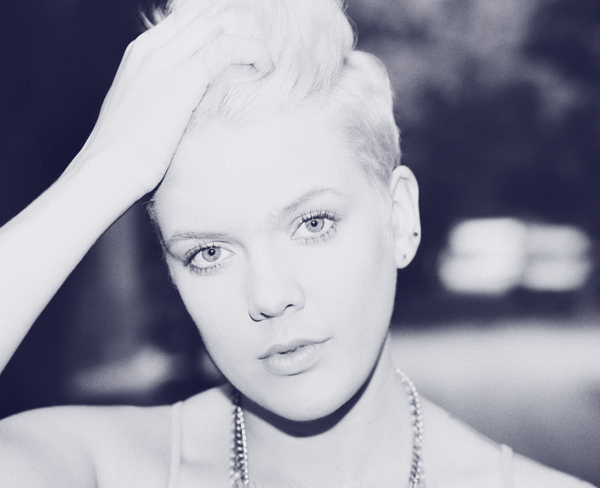 But a playful verve and genuine ease define Betty Who’s sound – a welcome respite from the contrived sexiness and tired formulas of Katy Perry and Selena Gomez.